Our next meeting is on Thursday, March 16th, 7 pm, at the Oaklette United Methodist Church, 520 Oaklette Drive, Chesapeake, Va. 23325. A very brief portion of the meeting will be to review and approve our 2017-2018 budget. We will also need to approve the minutes from the March 2016 and January 2017 meetings. Our guest speaker will be Jim Haluska, doctoral candidate in physical oceanography at ODU, who will speak about sea level rise in southeastern Virginia. There will be light refreshments after the presentation. Water quality will continue to be a theme for the Friends in February. 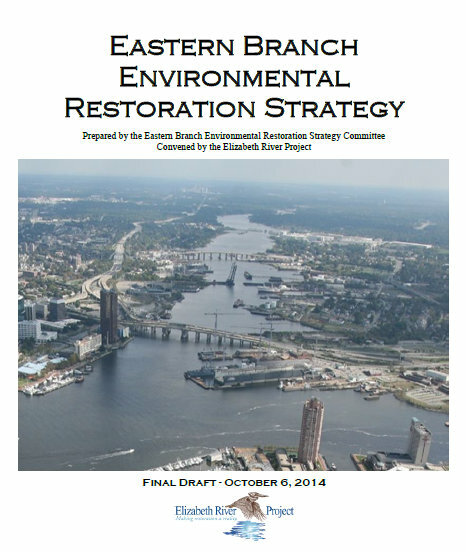 At our monthly meeting on the 16th, the Elizabeth River Project and representatives from the Hampton Roads Sanitation District will be talking to us about the Eastern Branch Restoration Plan, including efforts to fix water quality issues in the Indian River. And regarding drinking water, in the coming weeks we are expecting to get updates from the City on plans related to the Aqua Virginia and the Indian River Shopping Center. February is also the Great Backyard Bird Count and we'll be leading our annual bird watching walk on the 18th around "Woodland" Lake between the Indian River Community Center and the High School; come on out and help us see what bird species we find this year! On Saturday, February 25th we'll need volunteers to help do a cleanup at Plymouth Community Park. Get all the details about these topics below! 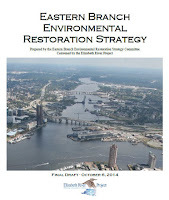 Join us for a presentation by the Elizabeth River Project (ERP) on the status of the Eastern Branch Restoration efforts. The ERP was recently awarded a $750,000 grant to advance this effort and they are working with the Friends, the City of Chesapeake, the HRPDC, and other partners to work on improving the environmental health of our area. One key effort involves reducing the excessive bacterial levels in the Inidan River and we'll hear about monitoring and mitigation efforts. There will be light refreshments and door prizes after the meeting. 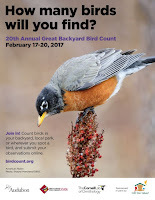 It is the weekend of the Great Backyard Bird Count, a worldwide effort to identify the distribution of birds. As part of this we'll be leading a guided bird watching walk around the lake between the Indian River Community/Rec Center and the High School. Novices welcome. When scouting the site, a variety of birds were spotted including Cormorants, Mallards, Pied-Bill Grebe, Bluebirds, - Yellow-Rumped Warblers, Woodpeckers, and more. We'll have some binoculars and a spotting scope, but do bring your own if you have some! Plymouth Community Park is a small waterside park along the Indian River that is in need of some love. The city will provide garbage bags. We'll have water and snacks available. Please wear closed-toe shoes, a hat and bring work gloves and other items that may be useful. Participants under 18 years of age must have adult supervision. Interested in becoming a citizen scientist FrogWatchUSA is offering training to perform frog and toad monitoring in our area. Anyone with a back yard full of frogs or the willingness to learn and identify frog and toad calls and the ability to learn wetland conservation strategies should reserve your spot for the training class, February 12, noon to 4 pm. See our Facebook post for more info. The City's meeting regarding Aqua Virginia on January 23rd became contentious as local residents voiced their concerns and the City and Aqua Virginia were not able to completely present their proposal for addressing the water quality and fire protection issue for the Aqua Virginia service area. However, the City and Aqua Virginia were directed at the meeting with coming up with a written plan in the coming weeks to review with the City Council. State Senator Spruill also said he would raise the issue to the State Corporation Commission - the regulatory agency for Aqua Virginia - if a workable plan was not developed. Two City Council members - Debbie Ritter and Ella Ward - were in attendance at the meeting. We continue to work with our contacts in the City and will report the latest developments.